- such devices as BCE and Teltonika are testing. The receiving of data is carried out by TCP and HTTP protocols. 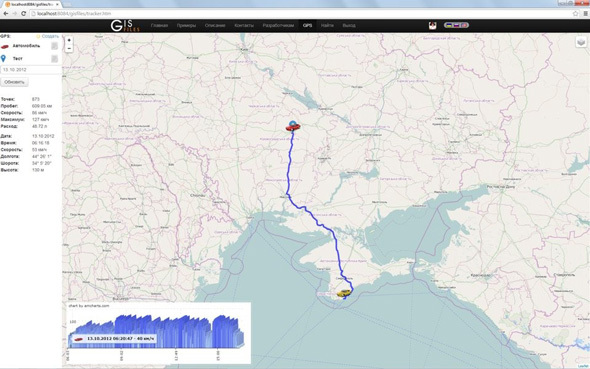 User can connect multiple GPS trackers and allow other users to view these routes. 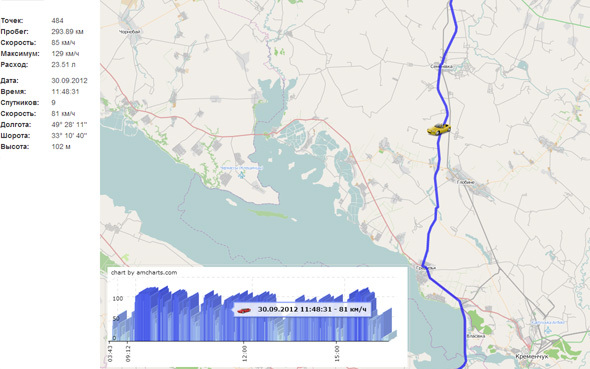 Free parameters about every tracker and speed chart are presented in the window of GPS navigation displaying. The set of Rest API functions enable to use GPS data by third party developers in their own WEB developments. To connect devices must create an account on the site GIS Files to come on page GPS and to add your devices in the list GPS of trackers pointing device type, IMEI number and name. Additionally, you can select an icon to display the current location of the tracker after connecting icon in album.